The sapphire necklace is one of the most popular pieces of jewelry in the fashion world, all this because of the precious sapphire stone. Just a handful of gems have kept our attention and desire like the sapphire does. To this day, this gemstone is the fourth most sought and expensive precious stone, along with the ruby, emerald, and diamond. Its deep hues hypnotize and urge collectors to pay millions of dollars for rare pieces. In this article, you will discover more about sapphires, and why it is a wonderful idea to have a sapphire necklace in your jewelry collection. With a pure blue color and an excellent durability, the sapphire is a proud member of the corundum family. However, you should know that not all sapphires are blue. In fact, sapphires can come in every color found in the rainbow, with the exception of red. People consider red corundum gemstones to be rubies. Generally, blue sapphires are called just sapphires, while the other color sapphires are named with their color, such as pink sapphire, yellow sapphire, etc. The extraordinary color of sapphires comes from the traces of chromium, iron, titanium and other elements present inside the stone. The color of the gem is the most important element to consider when estimating the value of this type of gemstone. Hues can also affect the value of a sapphire and the closer to a pure blue the better. However, saturation is more important. Top sapphires usually have a vivid saturation. Most gems on the market today have a grayish saturation. Finding sapphires with a vivid saturation can be more complicated than you think and it will certainly not be very affordable. Another important factor that can affect the price of the sapphire is the tone. As dark sapphires are more abundant, they will never have a very high value. In fact, this applies to all dark gems. If a gemstone is too dark, they will only have a moderate value. But there are also other factors that can leave a mark on the value of the gemstone. For example, the country of origin can influence the cost of the stone. The stones from the northern part of Burma (Mogok) come in limited quantities, making the price of the Kashmir sapphires to go up. Sri Lanka is the largest supplier of sapphires in the world and the quality of their stones is excellent. The stones that come from the Sri Lanka mines come in a wide range of colors. Obviously, the size of the precious stone also needs to be taken into consideration. The larger the stone, the more carats it will have. Be careful not to confuse carats with Karats, which is a purity measurement for gold jewelry. Carats is a weight measurement used to easily classify precious and semi-precious gemstones. One carat equals 0.2 grams (1/5 of a gram). For example, if a sapphire gem will have 5 carats, its weight will be of 1 gram. Smaller sapphires are usually used for rings and earrings, while sapphires larger than 30 carats will be used mainly for a sapphire necklace, or a sapphire bracelet. It is hard to put a large gemstone on a sapphire ring as the weight of the stone will make the ring shift to one side. Sapphires are very prized jewelry stones. 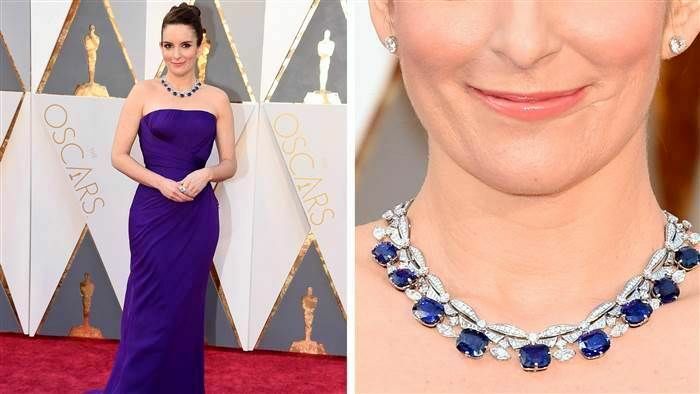 You will always remember a sapphire necklace when you see one. Determining the geographic origin and if they are natural or lab-grown is very important, especially when buying sapphire jewelry. Kashmir sapphires are very special. Their fine color and velvet softness makes them unique. Their special color is the result of the fine silk inclusions present in the gemstone, which scatter the light. Many sapphires are said to have “Kashmir color” but the color is not enough to prove the origin of the stone. Luckily, Kashmir sapphires have a series of features that can help you distinguish them easily. Kashmir is the only place in the world where corundum and tourmaline are found together. The most accentuated feature of the Kashmir sapphires is the silk inclusion, which is much finer than in other sapphires. Their appearance is usually faded, rather than sharp and clear. Kashmir stones usually have sapphire inclusions. Another feature you have to be aware of is the color zoning. You should be able to see colorless bands between the blue when under the microscope or a very powerful magnifying glass. Sapphires are very beautiful stones and owning a sapphire necklace will bring you to the center of attention every time you wear it. You can match it with a set of gold sapphire earrings, a sapphire bracelet and a sapphire ring of the same color or combination of colors if possible. Discover our fine jewelry collections and discover precious designer pieces at fair prices.